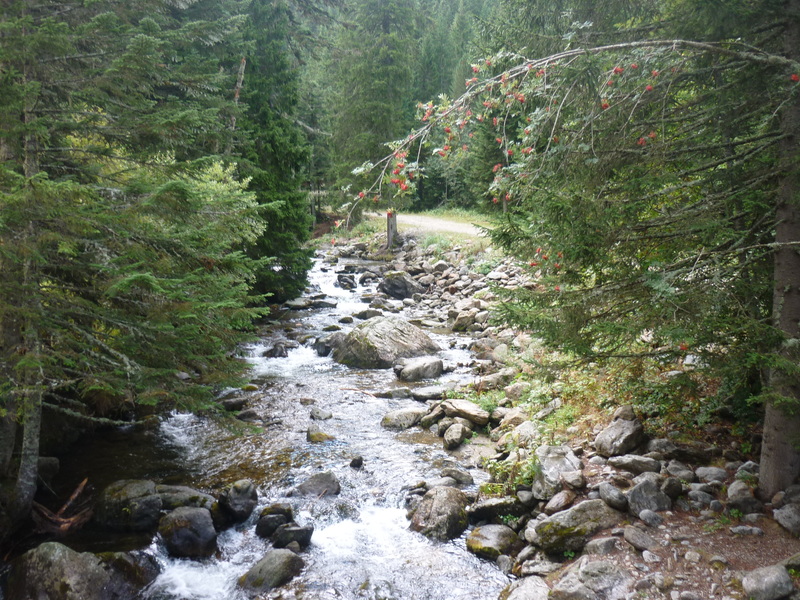 The Vésubie river is a tributary of the Var, which means that access is easiest through the road heading inland behind Nice airport along the Var valley: the road eventually gets smaller and windier as it passes through the beautiful Vésubie river gorges. 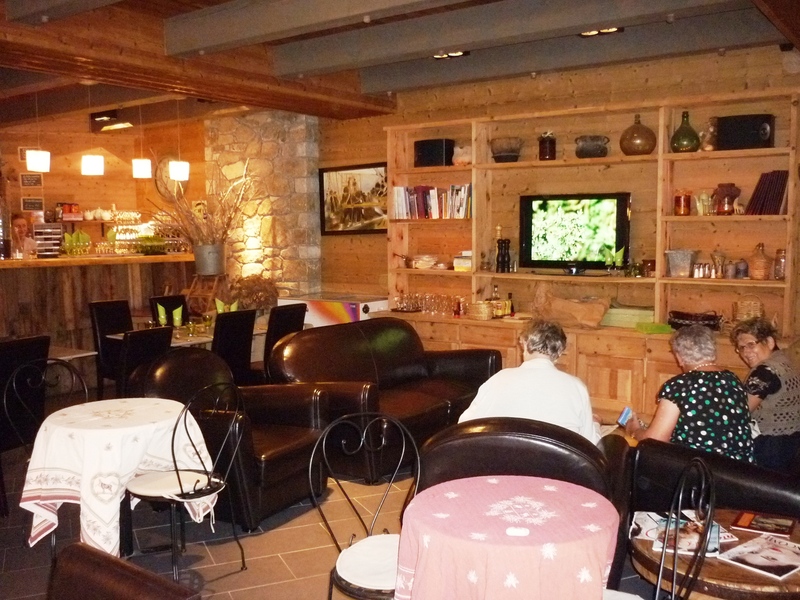 The first main village encountered, always nice for a coffee, is Lantosque, which provides a beautiful panorama over the valley, with the opportunity to buy some of the local vegetables and other products, like honey or some local spirits. 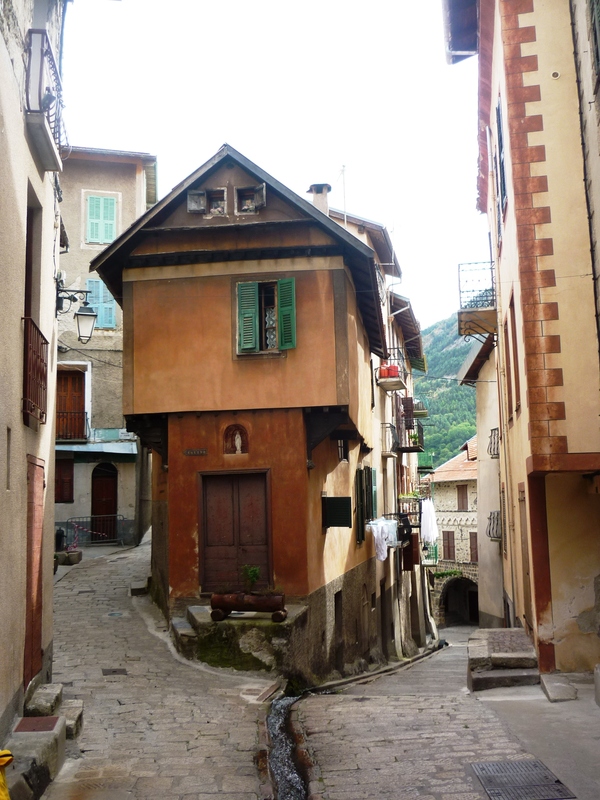 After this, the road climbs into the Mercantour National Park, through Saint Martin Vésubie, the largest town in the area, which has a pleasant old section with small picturesque streets and a fast-flowing torrent running through it (though not as charming as Lantosque). 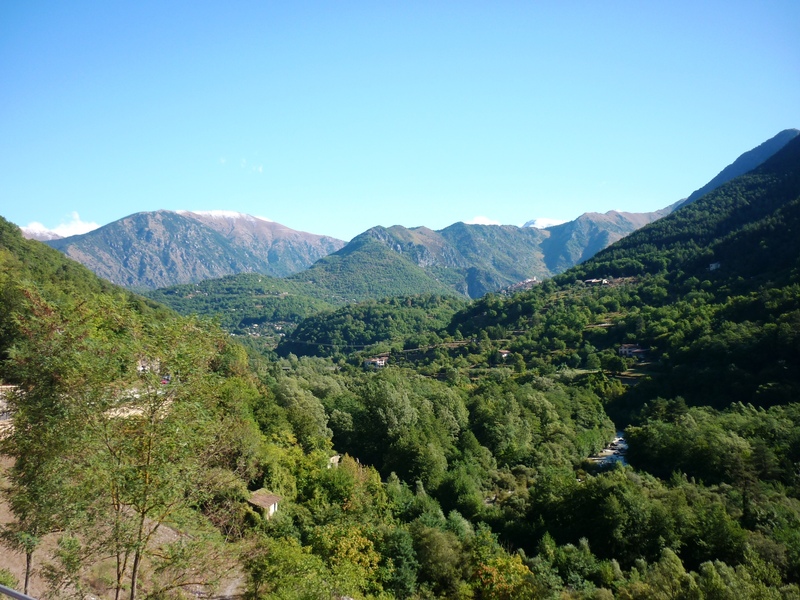 The road then follows a series of hairpin bends providing breathtaking views over the green valley towards the coast and passing by a stunning waterfall, the Cascade de Boréon, before passing by the Boréon lake and getting to the Alpha Wolf Park, all within a little bit over an hour’s drive from Nice. 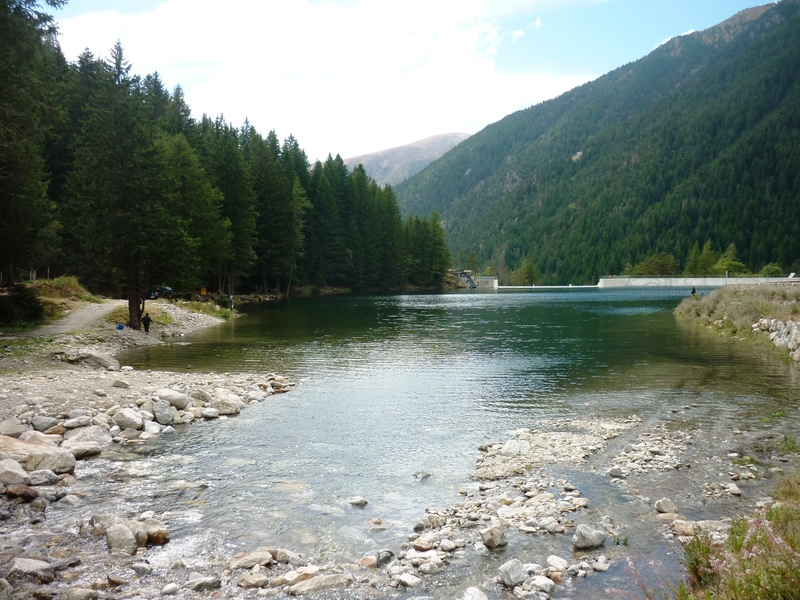 The Alpha Park was opened in 2005 after the natural return of wolves into the Mercantour from Italy, with the idea being to keep them under control but in their natural habitat, mainly to protect the wolves from retaliation from angry farmers wishing to defend their herds of sheep. After accessing the entrance to the modern and warmly-decorated welcome centre, the rather steep entrance price of 12 euros (a bit less if booked in advance on the internet) gives you entry to the park which is extremely well-organised into several sections and is quite compact so easy to walk around. The first part, after a short walk through a forest trail punctuated by lovely views and wooden sculptures of wolves to get you into the mood, is the Time of Mankind (le Temps des Hommes). This area simulates the lives of the tough-as-nails shepherds up in the mountains with their sheep and goats and has some moderately interesting (and actually rather depressing from my urban-dwelling perspective) films about how the wolves make the shepherds’ lives considerably harder and their livestock’s lives considerably shorter. Much more interesting is the next area of the park, the Time of the Wolves (le Temps des Loups), where you finally get to see some of our furry canine friends. 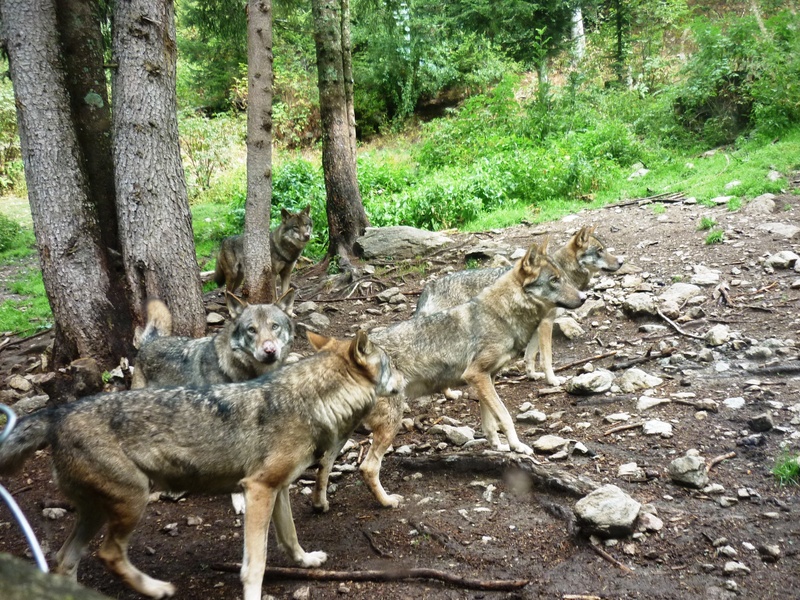 The wolves have organised themselves into three packs of different origins (the two Italian wolves, the Erps pack and the Pelago pack) who don’t mingle and who have their territories in different parts of the park. The feeding time is all pot luck and depends on the keepers who change the time every day so that they don’t get too complacent. I was lucky enough to witness two feeding sessions (the wolves were very visible from behind a glass panel), with plenty of very interesting explanations from the rangers about the animals’ way of life and their extremely hierarchical social system. This was very visible when the wolves were served massive slabs of beef and whole chickens (already dead, supermarket types so no excessive gore!) – the most senior members of the pack went first, whilst the others patiently awaited their turn. You can see full videos of the feeding time on the following links, both for the Italian wolves and the Erps pack. 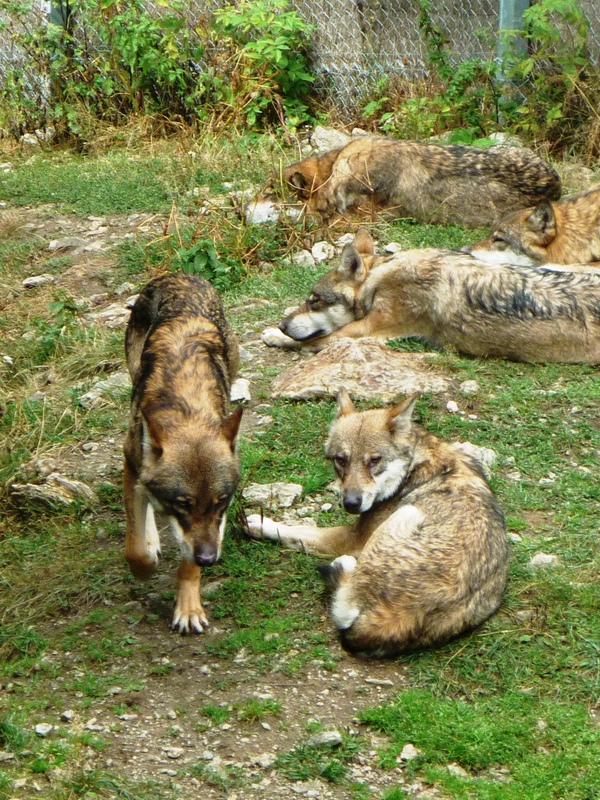 Wolves from the largest Pelago pack, relaxing after their bone-crunching meal! 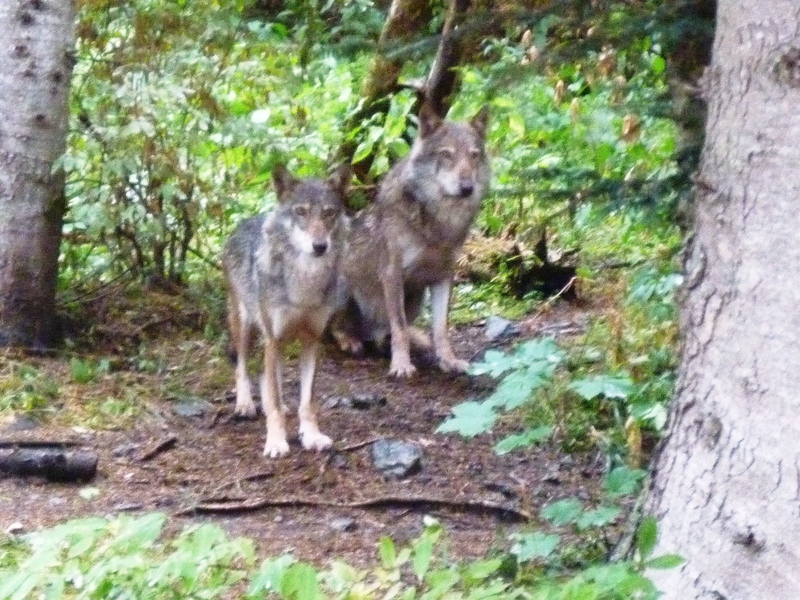 Wolves from the Erps pack lining up patiently for lunch – taken from very close range but behind a glass screen! A very pleasant surprise for lunch was the restaurant L’O à la Bouche, which is located in the entrance complex of the park just above the ticket office. For 25 euros, we had an excellent three-course menu with very good quality traditional French food in a warm, modern and pleasant mountain-like atmosphere decorated in light coloured wood: the dishes included pressed foie gras with ox tongue and chutney, an excellent chicken supreme with porcini mushroom sauce (not generally my favourite but this was really succulent and flavoursome) and a fabulous dessert with stewed cherries and gingerbread ice cream. 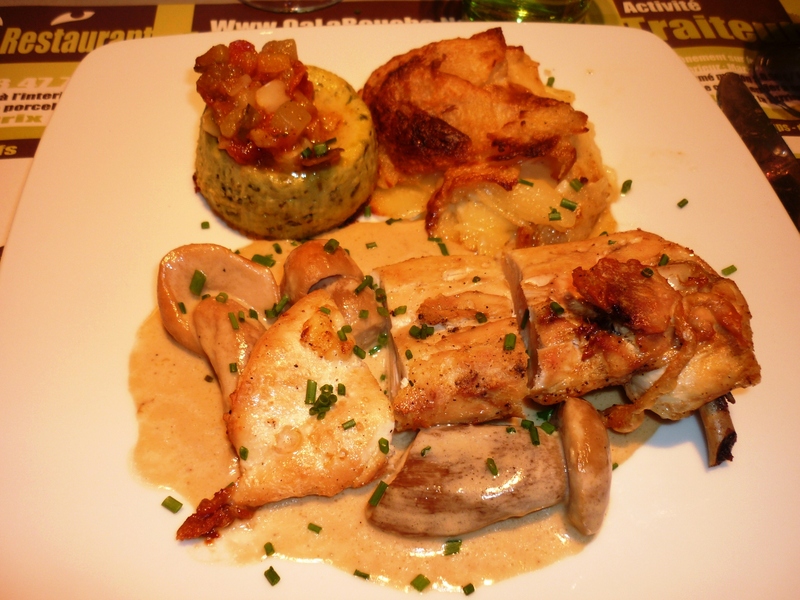 Delicious chicken fillet with porcini mushroom sauce and gratin at O à la Bouche, simple and effective! A la carte specialities include mountain favourites like cheese fondues and seem great value, so I can definitely recommend this address – if you like fish, you can even catch your own trout in the pond outside and then get it cooked by the chef, at least you’ll be sure that it’s fresh. An important word of advice is that the restaurant is outside of the actual checkpoint of the Alpha Loup park so you cannot just go out for lunch and then re-enter the park. I would therefore advise you to get to the park early (it opens at 10am), buy the tickets, book a table at the restaurant for 1pm then work up an appetite visiting the park before being rewarded with an excellent lunch and heading back down to the coastline, perhaps stopping for a stroll by the Boréon lake or coffee in Saint Martin Vésubie or Lantosque on the way back! It’s a great day out to see something a bit different from the coastline, to get a bit closer to nature and to breathe some fresh mountain air, so I would definitely recommend this to anyone with a bit more time. If you want to see more pictures of this excellent day out, I have posted plenty of them on the French Riviera Blog Facebook page. Getting there: cars are pretty much the only option as with most places in the hinterlands. 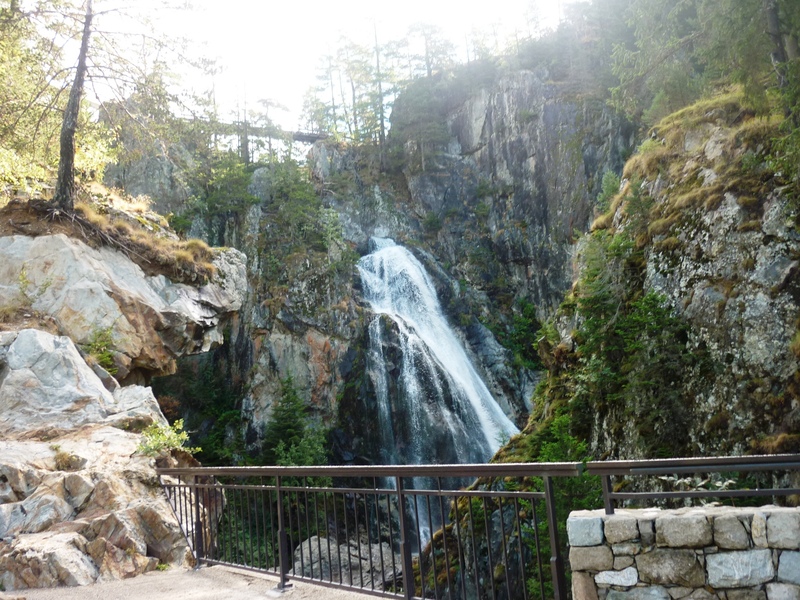 The Alpha Loup park is located around 70 km north of Nice and allow around 90 minutes to get there, the recommended route being up through the Var valley behind the airport (route D6202), then up the Vésubie valley (route D2565), the park is just after the Boréon lake. When to visit? The park is open most of the year but opening hours are more limited in the winter, check the online calendar on their website to see the precise opening dates. The best time would obviously be in the summer but the spring is also interesting as that’s when you can see some wolf cubs. Bear in mind also that the summer is also the most crowded period. As I mentioned above, I’d advise to arrive as early as possible (the park opens at 10am) and then to have lunch after the visit. The park is at an altitude of 1500m so dress adequately as it can get quite chilly, especially in spring or autumn. 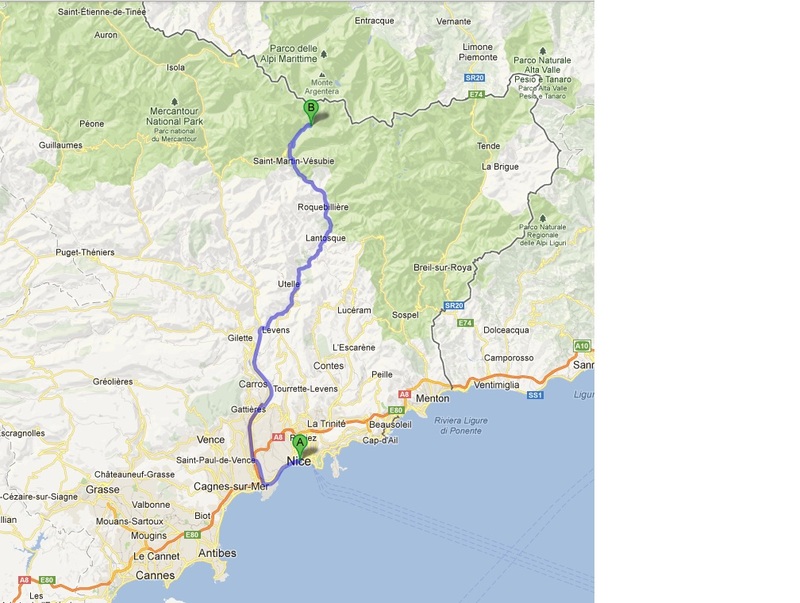 This entry was posted in The hinterlands of the Riviera, What to see on the French Riviera, Where to eat on the Riviera and tagged Azur, Côte d'Azur, Cote, french, french riviera, french riviera blog, frenchriviera, frenchrivierablog, holiday, kevin hin, leisure, mountains, riviera, seaside, travel, vacation. Bookmark the permalink. Hi – beautifuly written blog. I just want o ask if this is too harsh for elderly (below average fitness level).? Hi, thanks for your positive feedback! The main sections of the wolf park are pretty flat (especially the main exhibition building), so I don’t think that it’s too harsh – however, best to bring some comfortable shoes and even a spiked walking stick as the terrain is quite soft, expect to walk about 1km in total for a loop around the main wolf-feeding areas (though there are some areas where you need to climb a little to get the best views). You can get a bus once a day from Nice centre. 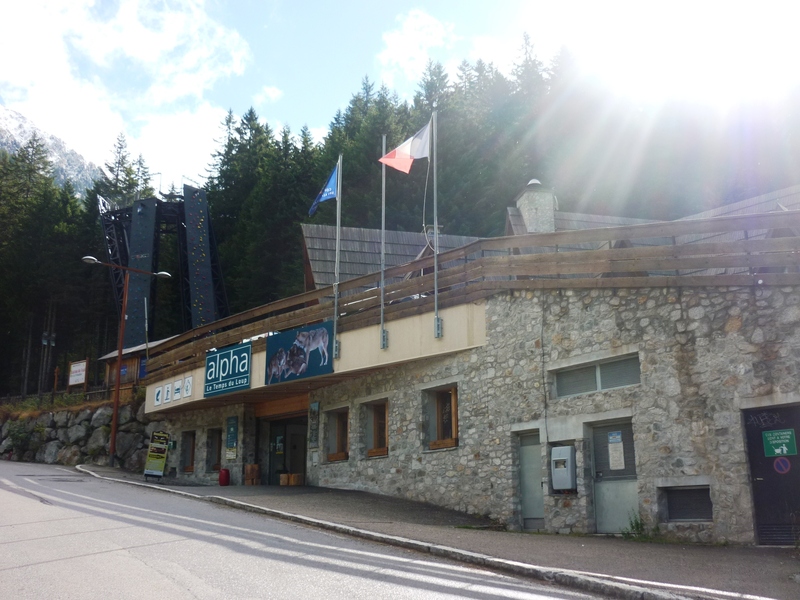 Full details with the tourist office b3side the main rail station or the office on the seafront beside the shop Le fis de Tailleur, around the corner from the Meridean Hotel.